Call Whisper is an invaluable way of knowing exactly which number your callers have dialled. This is especially useful if you need to know where the call came from before you answer it! Struggling to cope with a large volume of calls? Missing calls because you're already on the phone? Let our inbound Call Queue take care of the overflow. Callers are invited to wait in a queue, where they can listen to branded messaging and special offers. When you're free, the next call gets put through. Queue stats are available. If more than one person is available to take an incoming call, spread the workload with our Hunt Group feature. Choose from between two and ten people and have the calls cycle through them until it gets answered! Take the pain out of organising your Bank Holiday opening hours by configuring your calls in advance. Automatically switch to reduced opening hours, or even play specific audios to tell customers your opening hours over the holiday periods. Transfer a live call to a colleague using our Mid-Call Transfer feature. You can try a number of different colleagues on their landline or mobile until someone is able to take the call. Play hold music to the caller while they wait. Our most popular feature, Play Audio gives you the ability to play a recorded message to your callers. Let them know your opening times or tell them about a special offer! You can upload your own recordings or create your own. Fed up with cold calls, or nuisance calls on your business number? Simply add the telephone numbers you want to block and we'll take care of the rest. You can also block withheld calls and known sales numbers! Set your hours of business with the Opening Hours feature. Calls outside of these hours can automatically go to a voicemail. Or maybe out-of-hours calls should go to your mobile? With our powerful call recording facility, you can make sure you have a complete record of every call you've received. Calls are stored online for 30 days or you can download them to your own storage for free. Say goodbye to calling and checking your voicemails. With our simple Voicemail to Email feature, we will simply email you as soon as anyone leaves a message, along with their telephone number and an mp3 recording of their message. The classic menu! Also known as a Virtual Switchboard, an Auto-Attendant or an IVR, our Interactive Menu lets your caller decide which department they speak to. It could be 1 for sales, 2 for accounts and 3 for technical support. It's up to you! Ensure you make the most of every opportunity with the Missed Call Alert feature. Get an instant notification of any missed call right in your inbox, along with the number to call back. Perfect for sales teams. Our On Hold Audio is a great way of keeping your callers entertained whilst you deal with their enquiry. Choose from contemporary music, easy listening, eighties and classical music options. The most powerful inbound call statistics platform on the web. See a complete list of all of your inbound calls, including data such as time of call, number of rings, call outcome, caller's number and much much more. Immediately change where your virtual number is diverting through to using the Flower Telecom management portal. Instantly route calls through to your mobile in an emergency, or point calls to another office if you have to close early. With Flower Telecom, you can set exactly how all of your incoming calls are handled, using our innovative online control panel. You can add or remove features from your plan at any time, so you can easily and quickly keep up with your customers. Add our Interactive Menu feature to help customers get through to the right department every time. Alternatively, choose to upload your own welcome greeting message with our Play Audio feature. 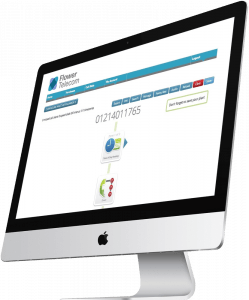 With a whole host of features designed to save you time and make you money, why not give us a call and see what call management features we can offer to transform your customer experience.